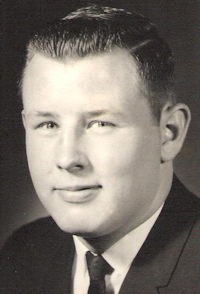 Obituary – Johnson, Jerry Gene « Perry High School Alumni Association, Inc.
﻿Football 62-65, Basketball 62-64, Mu Alpha Theta 63-65, English Assembly 62-63, Track 63-64. 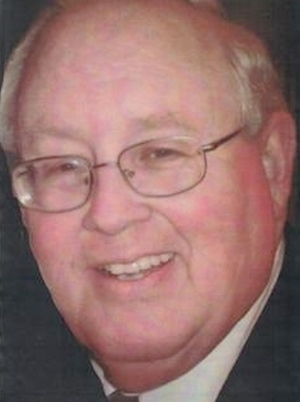 Jerry Johnson, 67, of West Columbia, Texas, a loving husband, father, brother and uncle passed away, Saturday, April 5, 2014. He was born December 12, 1946 to Jesse and Dorothy Johnson in Stillwater, Oklahoma. Jerry grew up and attended school in Perry, Oklahoma. He first got involved with the Boy Scouts as a boy, and was a part of the Fellowship of Christian Athletes while in high school. He was a graduate of Oklahoma State University. He began his career with Phillips Petroleum in Bartlesville, Oklahoma where he met and married his first wife, Patricia Morrow Johnson in 1972. He moved his family to West Columbia in 1977, and continued to work for Phillips at the Old Ocean refinery. Jerry retired after 37 years of service to the company. In 1997, Jerry married Lorraine “Rainbo” Hichens Johnson. Jerry was a lifelong supporter of the Boy Scouts, and continued to work with the scouts even after his son received the rank of Eagle Scout. Most recently he served as the commissioner for the Bay Area Council. Following retirement, Jerry began volunteering at Sea Center Texas where he served as a tour guide. He was also a member of the Brazoria County Woodcarvers Club. Jerry has been a long time member of the Columbia United Methodist Church where he enjoyed singing in the choir. He was a man of faith who had a heart to serve others. Jerry loved to travel and see new places. He enjoyed numerous excursions with his wife Rainbo following his retirement. Throughout his life, Jerry was an avid duck hunter and fisherman. He enjoyed spending time with his family while enjoying the great outdoors.